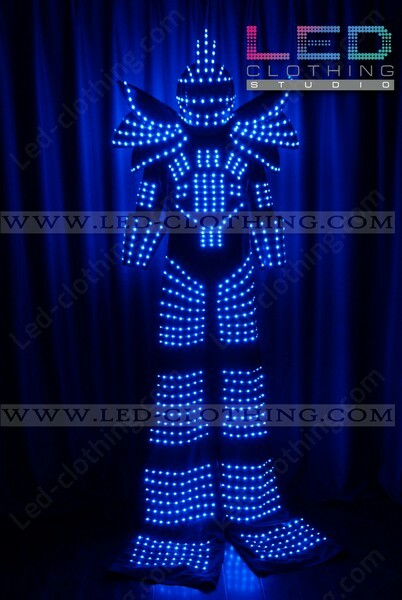 Stiltwalker LED robot \ Kryoman costume (model 2016 year) | LED Clothing Studio Inc. 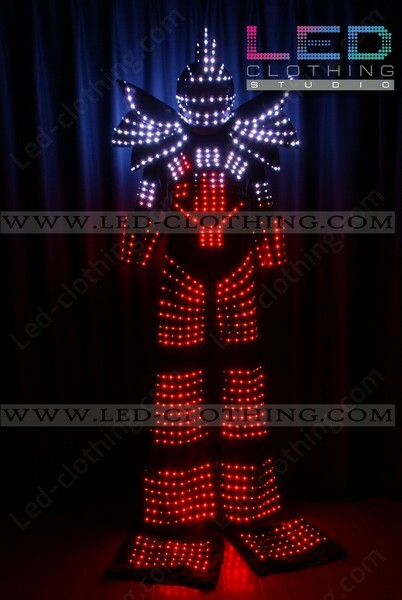 Launched almost a decade ago our stilt walker robot LED suit's still been taking the party crowd's breath away! 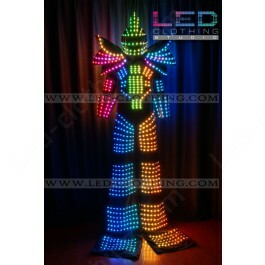 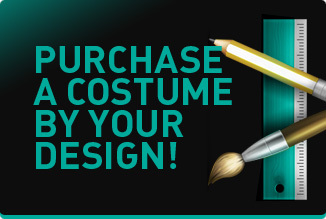 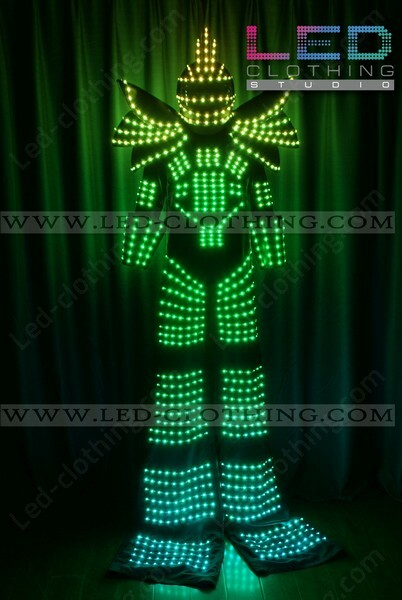 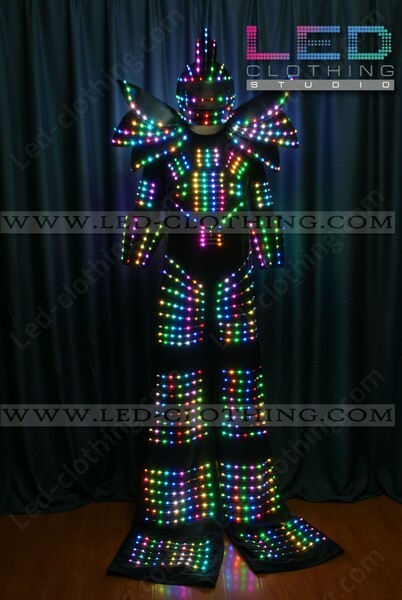 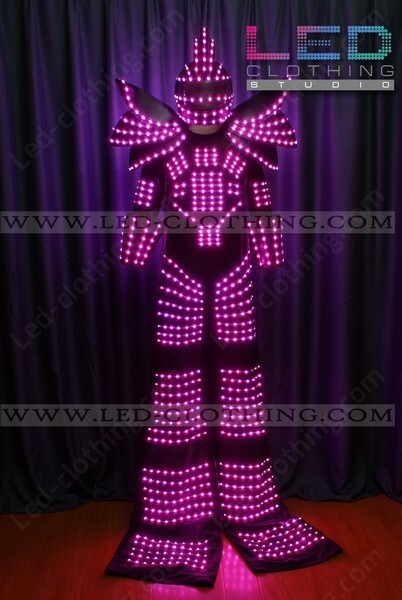 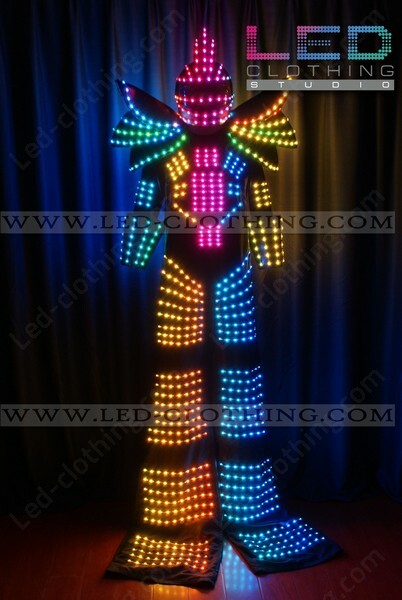 Lofty and yet elegant, awe inspiring and dance encouraging this LED stilt walker robot suit will be a dazzling feature to any bright event, performance or party. 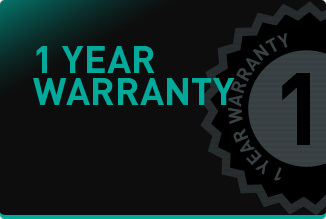 It's operated by an independent controller, with multiple effects preprogrammed and installed on SD card. Being a robot is easier now, try it out?